The latest Farm Bill Discussion Group meeting was held in Hopkinsville in front of a large crowd to hear from Kentucky Farm Bureau (KFB) leadership, discussion group committee leads and Congressman James Comer, a member of the House Agriculture Committee and the state’s newest House member from the state’s 1st Congressional District. 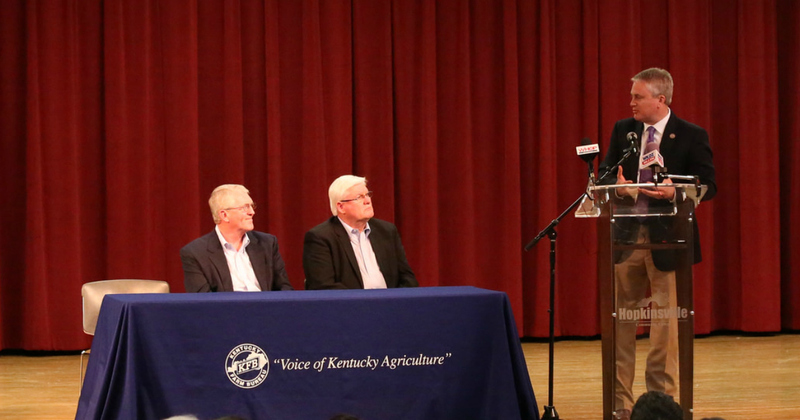 Comer told the gathering that with fewer legislators having no agricultural back ground, it is important that all ag commodity groups stick together. Late last year KFB President Mark Haney announced the formation of the Farm Bill Discussion Group to initiate discussions with agriculture officials, commodity organization leaders and other related stakeholders across the state concerning the reauthorization of the Farm Bill. This latest event is but one in a series of meetings that have been held in various locations to gather information which will be used to ultimately present a cohesive message to lawmakers informing them of where Kentucky agriculture stands on issues overseen by the farm legislation. During the meeting, reports were given by individual committees that were initially created within the whole group to address specific titles of the Farm Bill. Comer said he learned a lot from hearing from each of these groups and from being a part of the over-all discussion. Comer pointed out that of the 54 new members of Congress who came to Washington this year, he is the only farmer. 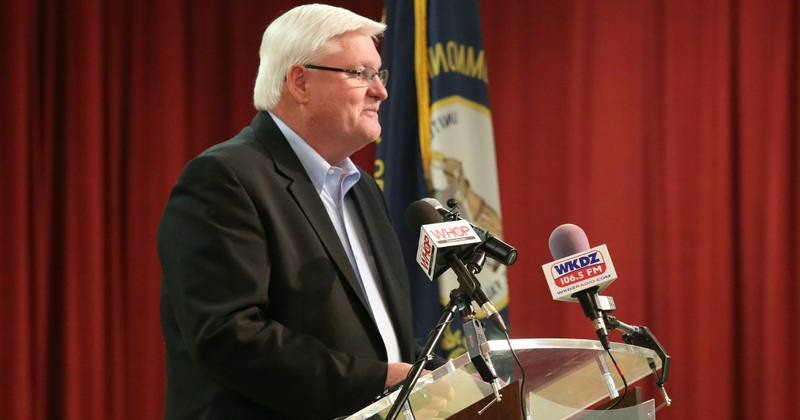 Comer also said the agriculture family is a close-knit group that supports each other. Discussion groups will continue work to ultimately create a list of recommendations to be given to Kentucky’s Congressional delegation. For more information about the Farm Bill, visit the web page, https://www.kyfb.com/federation/commodities/2018-farm-bill.